This month we are pleased to be a sponsor for a wonderful blog: Under the Sycamore. 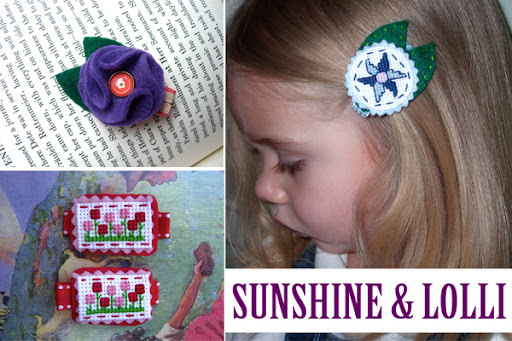 Ashley has such a wonderful blog voice, adorable children and one of her amazing DIY projects was, in many ways, the inspiration that started Sunshine & Lolli. Her blog is a daily must read. Please check out Under the Sycamore to see amazing photography, projects, and genuine craftiness. Also visit if you need a dose of humor, wisdom or perhaps a reminder about what makes life sweet. Enjoy a 15% discount when you shop Sunshine & Lolli for the entire month of March. Just enter coupon code Ashley15 at checkout. Make sure to check out the other great discount offers from all of the other March sponsors as well. Want another discount? "Like" Sunshine & Lolli on Facebook then e-mail us with your favorite thing about springtime and I'll send you a coupon code for free shipping! Hooray!